Estella lived in South Bend, St. Joseph County, and Union Mills, Noble Township, LaPorte County, before emigrating from Indiana. She then lived in Berlin, Otoe County, Nebraska. This entry was posted in LaPorte County, St. Joseph County and tagged Bement, Kuss, Layton, Martin, Neu, Powell, Shelter, Smalley, Waite on March 30, 2014 by lisaellam. John Powell, Oliver Powell’s father, was the son of Wiley Prosis and Sarah (Carter) Powell. This entry was posted in Bartholomew County and tagged Carter, Christie, Dunn, Krapp, Powell on March 30, 2014 by oahblog. William emigrated from Taylor, Harrison County, Indiana, to Red River, Kittson County, Minnesota, about 1900. William H. Hedden’s grandparents, George Washington and Elizabeth Malone Hedden of Kentucky, were the first inhabitants of their Harrison County, Indiana, wilderness farm after the Potawatomi Indians left. Their son Benjamin Franklin, who was born in Kentucky, was the first of their twelve children. Their second son, George Washington Heddon, Jr., born on Heddon Hill in southern Indiana, was fatally wounded on the first day of the Battle of Nashville during the Civil War. William Hayes Heddon, sixth child of Benjamin Franklin Heddon and the first of his second wife Anna Mae Fertig, told of how his family raised fruit, pork, and other farm produce. They would have relatives and neighbors come to stay during harvest and butchering times to help. Then the family produce would be taken by team and wagon to Rosewood, a shipping point on the Ohio River. William would go on the steam paddle wheeler with the produce, which was packed in locally manufactured wooden barrels, to the market nineteen miles up river at Louisville. During one of these harvest seasons, the Heddon home, a large timber building, caught fire in the middle of the night. The family threw everything out of windows on the second story and dragged as much out of the first floor as they could. The disaster nearly ruined Benjamin Franklin Heddon, who built a much smaller house on the spot. This entry was posted in Harrison County and tagged DeBook, Elwell, Fertig, Heddon, Naranjo, Pittock, Powell, Smith, William on March 21, 2014 by oahblog. Thomas came to Indiana about 1838. 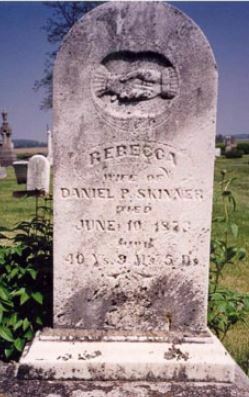 The family left the state about 1860–1865 for Vernon County, Wisconsin. They moved to St. Clair County, Missouri, about 1880. Thomas was a physician. 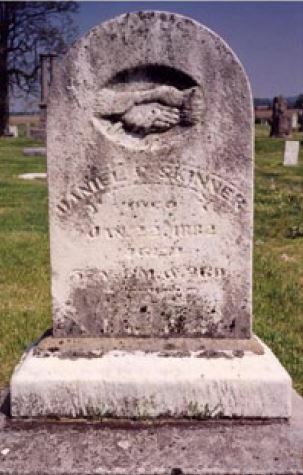 After Sarah’s death, he went to the gold fields of California by way of the Panama Canal. He later moved to Washington where at least three of his children had moved. This entry was posted in Delaware County and tagged Dean, Hancock, Powell, Williams on March 16, 2014 by oahblog.